In March, Paramount got their game on a continued the trend of movie and gaming convergence. At the time, the Viacom movie studio behind hits as far ranging as Chinatown, Indiana Jones and Cheech and Chong’s Still Smoking, announced a plan to focus on in house game development and publishing (via Variety). Now the first titles to come from that project have been announced. They’ll come from familiar territory: Paramount’s own movie catalog. Three PC based casual games are on track for a Q4 release. The titles will draw on three different decades of teen film source material and be marketed toward women, who are generally more active players of web based casual games than men. Coming from the 80s, 1986 to be precise, the first title will be based on the John Hughes scripted hit Pretty in Pink. The game reincarnation will follow the story line of the movie and require players to solve visual puzzles. From the 90’s, Amy Heckerling’s Clueless (1995) will get the gaming makeover and task players to play matchmaker for the different characters dream dates. From this decade, Mean Girls (2004) will go to the gamers. The games will start out as PC titles and are expected to sell for around $20 at retail, or via download. One may be offered initially for the DS, and console versions could follow if the titles are well received. 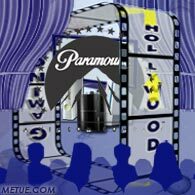 Legacy Interactive is co producing the titles with Paramount and will tackle US publishing. Paramount will take responsibility for the International market. Legacy previously worked on the gaming remakes of TV shows Law & Order and the Apprentice. •Gaming Peripherals: The Next Wave of Design?